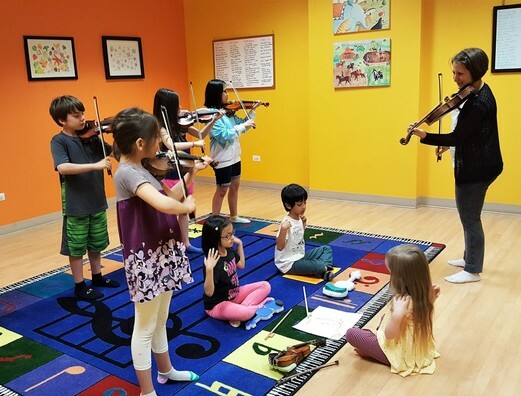 Whether you’ve been taking music lessons for months or you are completely new to our programs, you will find the perfect experience in one or more of ChiME’s Summer Programs. We have prepared a wide range of offerings for various ages that will provide the perfect balance of creativity, learning, and playfulness. 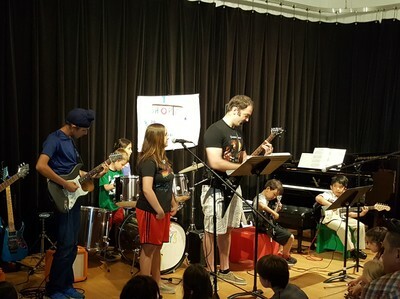 Students will collaborate, think critically, learn to set and achieve goals while having fun, making music, and discovering their unique artistic voices. Take your violin, viola, or cello on vacation to ChiME and enjoy a week of pure fun making music. Improve your posture, technique, musicality, and ensemble skills while exploring various sounds and playing styles. 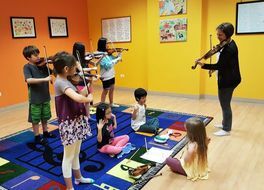 During mini lessons and group classes, students will not only work on their instrument playing, but also explore music theory and history, fiddling, rock and roll, drumming, and movement. 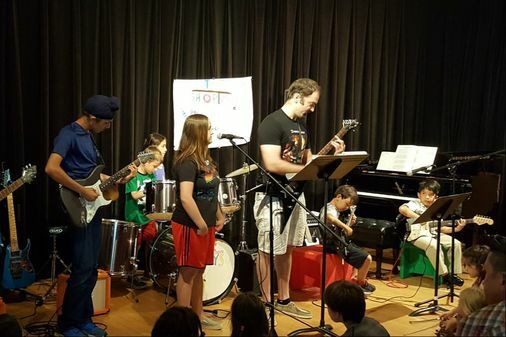 They will join the Rock Band campers to learn and perform a song during the final show on the last day of camp. Throughout the camp, students will have many opportunities to develop life skills, including collaboration, listening, problem-solving, critical thinking, self-confidence, and a chance to find and express their artistic voices. Come play, laugh, and have fun with us! This camp might be intense and filled with lots of work on power chords and impressive riffs, but there is not a more fun place to be this summer! Players of all instruments are invited to rock out with us. 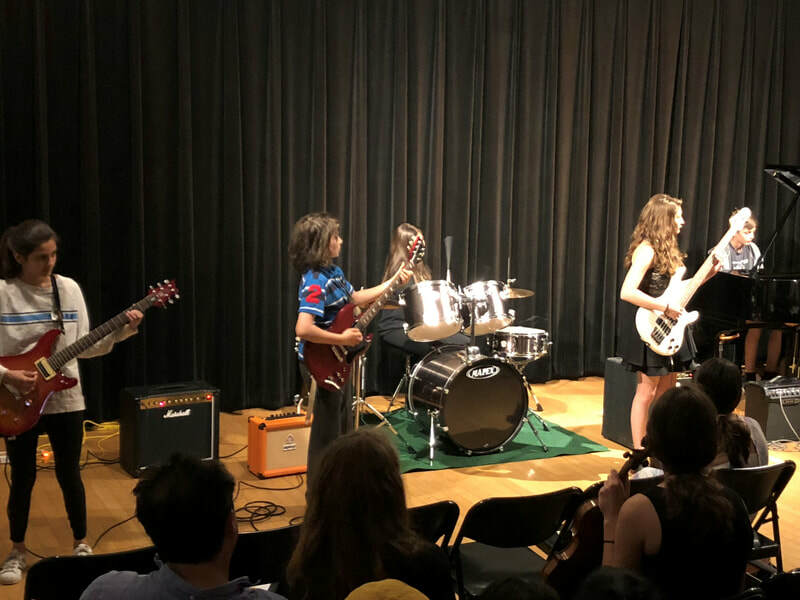 We will learn well-known classic rock songs and polish some foundational elements of rock and roll, including riveting rhythms, rocking melodies, face-melting solos, and thumping bass lines. And what would a true Rock Band be without a show? The whole week will really be one long rehearsal for an electrifying performance on the last day of camp. And Parents, be advised that we will not only make your kids into the coolest rockers, but also teach them some important life skills, such as collaboration, listening, problem-solving, critical thinking, self-confidence, and a chance to find and express their own voice. Rock and Roll Baby! ​​Have you ever wondered if the original is better than the revamped version? Do you enjoy killer guitar solos and thumping bass lines? Do you stay awake at night listening to guitar solos? Than this camp may be right for you. During Greta van Fleet vs Led Zeppelin we WILL decide who the better band is based on learning two songs from each group. At the end of the camp we will perform them and then vote on various categories to decide who is better once and for all! Please note: Full tuition will be refunded for summer camp registrations cancelled until May 1. 50% of tuition will be refunded for summer camp registrations cancelled between May 1 and two weeks before the camp. No refund will be available for summer camp registrations cancelled within two weeks of the camp.